I thought my eyes have blurring vision when I woke up this morning. 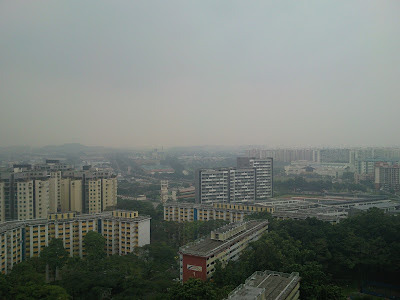 I was wondering why the sky was still quite dark in the morning. 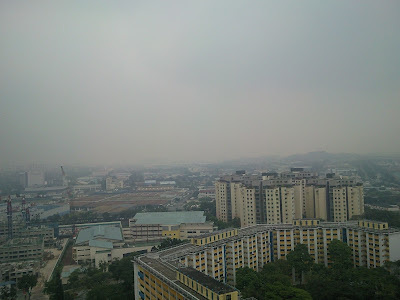 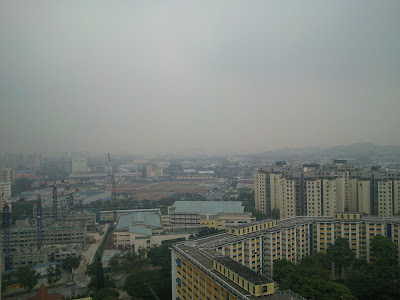 After I came back home, heard the radio deejay was talking about hazy conditions in Singapore has worsen a bit. No wonder I can smell a bit of burnt substances in the air, almost thought people are burning papers for the festival so early in the morning.